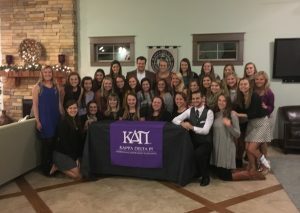 Kappa Delta Pi (KDP), is one of the largest and most prestigious international honor societies for scholars in the field of education. Alpha Phi, which is Auburn University’s chapter of KDP, has an 84-year history on Auburn’s campus, honoring and promoting excellence in the field of education. This year, Alpha Phi was selected for a Membership Chapter Program Award. Alpha Phi was one of just six award winners nationwide. Currently there are more than 600 KDP chapters, which adds to the award’s distinction. The chapter counselors are Dr. Megan Burton and Dr. Vicky Cardullo, faculty members in the Elementary Education program in the Department of Curriculum and Teaching. The officers for the chapter are: Chelsea Stone, Anna Piper, Garrett McCoy, Jordan Payne, Fannon Curtis, Samantha Davis, and Erin Long. This award speaks to the high level of productive activity of the organization. In just one year the chapter’s active membership has grown tremendously. Currently there are 53 active members who have maintained a 95% activity rate. KDP and the Plains Reading Council have worked together to develop literacy activities in the community. This year they worked with the Pine Hills Literacy Association to create a Literacy Fair. Members of the two groups met for several weeks and read with students in grades K-5. Then members helped students create a literacy board for the fair. In addition, the organization hosted several activities throughout the year including a school supply drive, a panel presentation including local principals Karen Snyder and Debbie Brooks, and a Q&A session with Dean Whitford. Chelsea Stone, the current KDP president, took the lead in the application for the award and organizing the activities of the chapter. 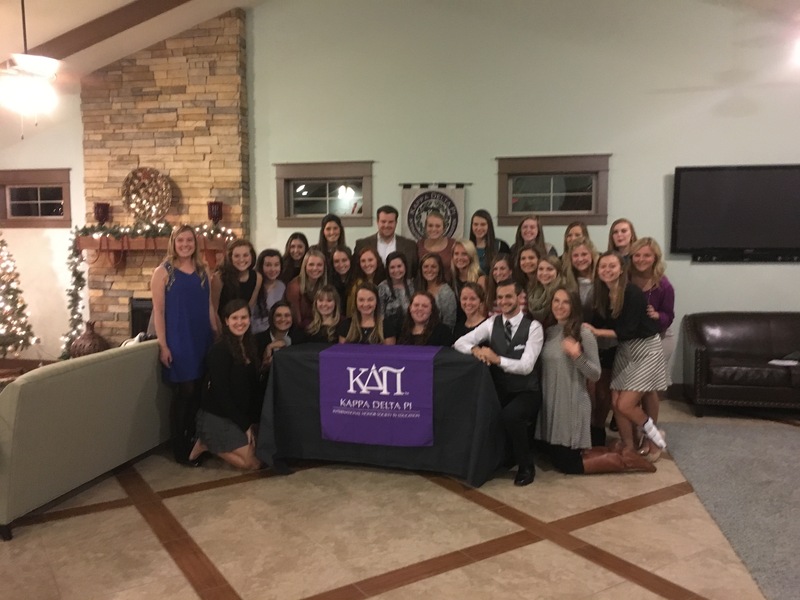 Congratulations, KDP members, and keep up the good work!